A Dutch honeymooner has become the first person to survive a fall from the World’s End, a 4,000-foot (1,200-metre) cliff that is one of Sri Lanka’s main tourist attractions, the Sri Lankan military said on February 21. 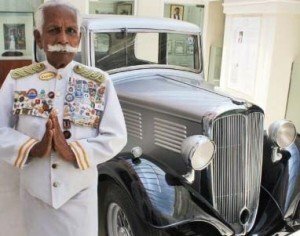 The 35-year-old man had taken a few steps back to take pictures of his new bride when he flew off the unprotected cliff, army spokesman Brigadier Jayanath Jayaweera said. “He was extremely lucky because he fell on top of a tree about 130 feet from the top,” Jayanath Jayaweera told AFP. Rescue troops used ropes to reach the man and winch him to safety. Some 40 soldiers were involved in the initial rescue which was later backed by a military helicopter. The man had to be evacuated from the area on the shoulders of troops who carried him over a distance of 3 miles to the nearest point at which he could be driven to hospital. 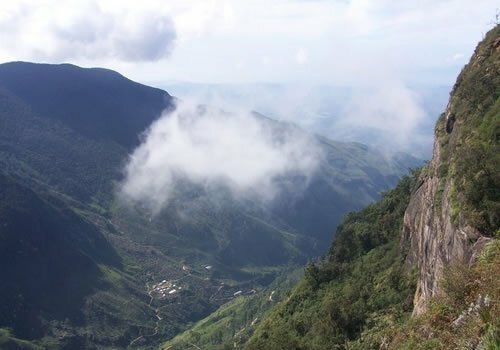 The World’s End cliff is the main attraction at the Horton Plains nature reserve in central Sri Lanka and is a key tourist attraction. Pope Francis has arrived in Sri Lanka to begin a six-day Asian tour. The pontiff, who will later travel to the Philippines, plans to celebrate open-air masses during his trip. It is the first papal visit to Sri Lanka since the end of a 26-year civil war in 2009. Maithripala Sirisena, Sri Lanka’s new president, has promised an end to growing repression of religious minorities. 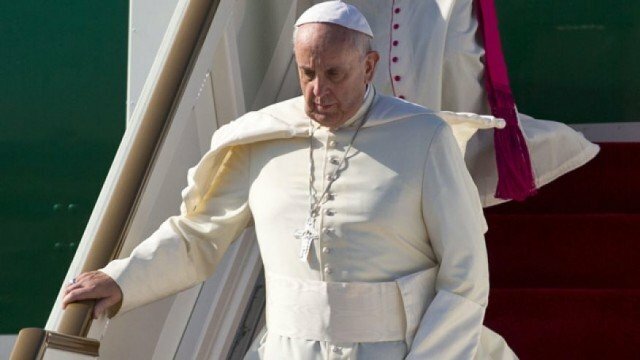 Speaking on the tarmac of Colombo’s international airport shortly after he landed, Pope Francis said that peace could be found by “cultivating those virtues which foster reconciliation, solidarity and peace”. Rebuilding Sri Lanka was more than just improving infrastructure, the pontiff said, “but also, and even more importantly, promoting human dignity, respect for human rights, and the full inclusion of each member of society”. Pope Francis also said that the “pursuit of truth” was important, “not for the sake of opening old wounds, but rather as a necessary means of promoting justice, healing and unity”. A brutal decades-long civil war ended in 2009 when the army defeated separatist minority Tamil rebels. The UN said both sides committed atrocities against civilians. The government consistently denied allegations that it was responsible for the deaths of many thousands of civilians in the final phase of that war. Last year the UN approved an inquiry into alleged war crimes. Just over 7% of Sri Lanka’s population is Christian, mostly Catholic – but they include both Sinhalese and Tamils. Around 70% of Sri Lankans are Buddhist, with 13% Hindus and 10% Muslims. During the last papal visit 20 years ago, Pope John Paul II was boycotted by Buddhist leaders. On this visit, Pope Francis is expected to hold a multi-faith prayer meeting which should include moderate Buddhist representatives. Buddhist fundamentalism has grown as a force in Sri Lanka since the last papal visit, with some waging a violent campaign against Muslims on the island. Pope Francis wants to encourage the local church to seek partners in peace, so that all religions can stand united against any further violence or intimidation by religious extremists. It is a time of significant change in Sri Lanka, where Maithripala Sirisena took office as president on January 9. Maithripala Sirisena ended the decade-long rule of former President Mahinda Rajapaksa, a period which critics said had been marred by increasing corruption and authoritarianism. Pope Francis’ trip, which comes five months after a tour of South Korea, is being seen as an attempt to win new followers in Asia and to shore up support for the region’s millions of Catholics. In the Philippines organizers are expecting one of the biggest crowds ever for a papal visit when Pope Francis conducts an open-air mass in the capital Manila. Church officials say Pope Francis’ visit to the archipelago nation will focus on “mercy and compassion” following a deadly 2013 typhoon, reports the AFP news agency. Australia has admitted it has returned 41 asylum seekers to the Sri Lankan authorities at sea, raising concerns that it violated international law. The transfer took place on Sunday. Rights groups had raised concerns that some 200 Sri Lankans may have been handed over, including Tamils who say they face persecution at home. The government has not commented on other possible cases, but says everyone was subject to “enhanced screening” to ensure compliance with Australia’s international obligations. This is the first time the Australian government has confirmed it has intercepted people at sea, screened them and returned them to their country of origin. 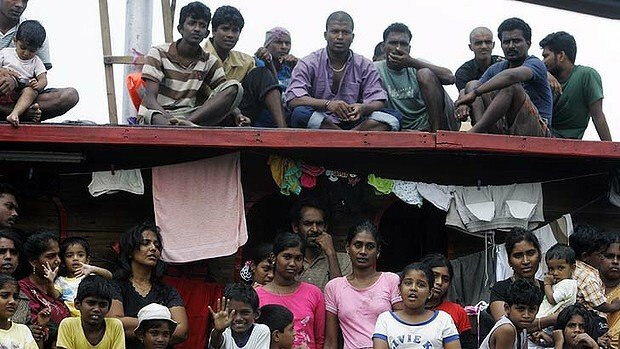 Immigration Minister Scott Morrison acknowledge on Monday that a boat-load of 41 people had been handed back to Sri Lanka, while not commenting on the fate of a second boat reportedly carrying about 150 people. Scott Morrison said they were transferred at sea just outside the Sri Lankan port of Batticaloa on Sunday. “All persons intercepted and returned were subjected to an enhanced screening process,” he said. The government says only four of those returned on Sunday were Tamils. Scott Morrison added that only one person may have had a case for asylum but he opted to return voluntarily with the rest of the passengers. Last week the UN refugee agency UNHCR had expressed “profound concern” about the reported situation. “Requests for international protection should be considered within the territory of the intercepting state, consistent with fundamental refugee protection principles,” it said. Sri Lanka has been under heavy international pressure over alleged human rights violations during the final phase of the war against Tamil separatists which ended in 2009. Rights groups say Tamils still face violence at the hands of the military. The Australian government has been criticized for imposing what campaigners call a culture of secrecy around asylum, by refusing to comment on operations. Under current policy, asylum seekers who arrive by boat are sent to detention camps in Papua New Guinea (PNG) or Nauru. If found to be refugees, they will be resettled there, not in Australia. Australia says its asylum policy – which is also widely believed to involve towing boats back to Indonesian waters – is aimed at saving lives. It is also facing tough questions over its offshore processing policy. The UN and rights groups have condemned conditions in its camps in PNG and Nauru. Faraz Shauketaly, a reporter from Sri Lanka’s newspaper Sunday Leader, has been shot by a group of unidentified men at his home near the capital, Colombo. Faraz Shauketaly, 52, who holds dual British and Sri Lankan citizenship, was rushed to hospital after being shot in the neck. A doctor who treated Faraz Shauketaly said the journalist was now out of danger. Rights groups say more than a dozen media employees have been killed in Sri Lanka over the past decade. None of the murders has been solved. Faraz Shauketaly was on the phone to a colleague at the Sunday Leader on Friday evening at his home in Mount Lavinia when the call was cut. Shortly afterwards he answered a call and said he had been shot in the neck by three intruders, who had then escaped. A group of foreign lodgers at his house said he was covered in blood and calling for help. Faraz Shauketaly was taken to intensive care, where doctors pronounced him out of danger and have been working to remove a bullet. He had voiced fears that his investigative reporting might be putting him in danger, especially after strangers had called at his house recently asking for his whereabouts. 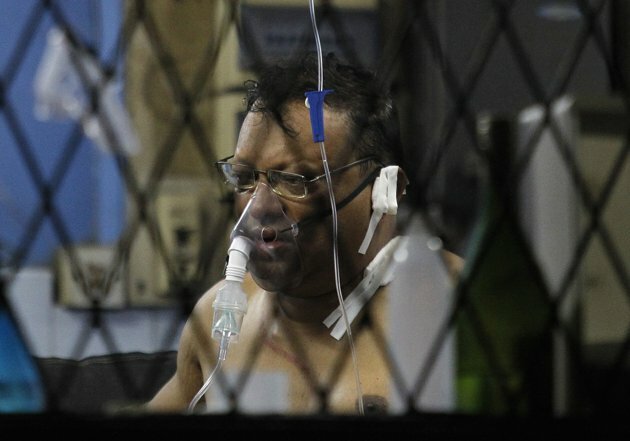 Four years ago, the Sunday Leader’s editor, Lasantha Wickrematunge, was shot dead by a group of masked men on motorbikes. The case, which has never been solved, highlighted the dismal state of press freedom in the country, analysts said. The Sunday Leader had long had a reputation for being outspokenly anti-government. Its profile changed last year when it was bought by a well-connected businessman and retracted some of its articles, but it still does a considerable amount of investigative reporting. Last month, Sri Lanka was placed 162nd out of 179 in a Press Freedom Index compiled by Reporters Without Borders.